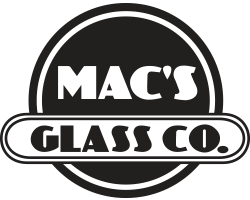 At Mac’s Discount Glass we have been providing auto glass repair to Sacramento and the surrounding cities such as North Highlands, Rancho Cordova, Elk Grove, Davis, and Webster, for very many years. One day we were sitting at our desks, Erick and Lee McNabb – just the two of us – when Lee said to Erick, who is our auto glazer, “Why don’t we provide your mobile auto glass repair service to Roseville?” Erick said “What a good idea. I wish I’d thought of that myself”. Long story short: now we do glass repair in Roseville. Yes, Erick is now providing Roseville auto glass replacement as well as in Rocklin, Loomis, Whitney, Citrus Heights, and Granite Bay, so wherever you are when that dreaded stone hits the windshield you can call our office and Erick will come out and solve your problem. We really don’t know why we hadn’t thought about windshield replacement in Roseville before, but the fact is that we hadn’t. However, now the good citizens of Roseville have access to the same level of incomparable windshield replacement that other towns have been enjoying, with our mobile service in Roseville. We are also on the approved list of many insurance companies for auto glass replacement in Roseville. Let’s be honest: when you have a shattered windshield, you are not going anywhere. If it is only a chip that is one thing, but even then it is not a good idea to leave it. The point is that we can very often repair a chip and it is only a quick job, but if you leave it, the next time you go over a bump the chip can turn into a crack which can spread across the whole of the glass. So at that point you are going to have to replace the windshield anyway. However, if the windshield is shattered you have to get it fixed on the spot and that is why if it happens in Roseville you can now have Erick come out and replace it for you. Our Roseville mobile service means that you can now get your windshield fixed whether you are just passing through the city or whether you are a local resident. If you live in the city you may be able to make it home in which case it is not quite so urgent. However, you still want it fixed the same day so that you can use your vehicle tomorrow. However, if you are passing through you need it fixed as a matter of urgency so that you can get to wherever you are going. That is why we now provide a mobile auto glass repair service in Roseville.